Also Recommended: Inuyasha, Natsume's Book of Friends. Notes: Based on the manga by Fujita Kazuhiro which once ran in Weekly Shounen Sunday. Ushio is the son of a temple priest. He's warned by his father never to go into the cellar, because of the evil sealed up there, the truth of which Ushio has some doubts. Still, he honored his father's request until the day when he accidentally ruins part of the cellar trapdoor and the evil aura of whatever's sealed down there starts seeping out and attracting yokai from the surrounding area. Drawn to the cellar, he meets the sealed demon, which he releases on the promise that it defeats the yokai drawn to the place. Initially trying to betray the deal, Ushio bonds with the Spear of Beasts and forces the demon to honor his part of the bargain, and the two eventually form an uneasy alliance, which leads to Ushio naming his newfound companion Tora due to his striped patterns and coloring. 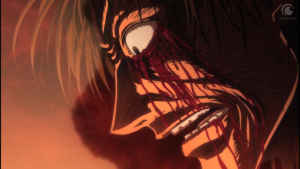 Watching a show like Ushio and Tora makes me happy, because it's got this raw, old-timer shounen energy about it. Even now, as I write this, I can lean over and check my shelves, and yep... my old Ushio and Tora OAV DVD pack is still there. Then I'd have to massage the crick out of my neck, because reading DVD titles mean tilting your head over to the right 90 degrees, and I ain't getting any younger. Much like the origins of this show. Ushio and Tora oozes retro from every pore of its sharply designed body, and it's absolutely delightful. 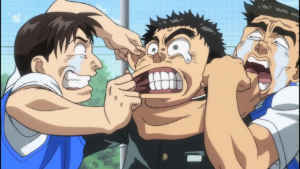 The human designs are deliberately coarse in a way that makes the show look more down to earth than it's more modern, contemporary cousins in the shounen family, which only serves to enhance Ushio's rough-and-tumble personality and also give the girls a more down-to-earth look that fits their respective abilities better. Which means even the daintier girls actually look like they could carry the strenght they are about to develop, or already have. Being of the old-school persuasion, Ushio is a little bit naive as shounen heroes go, which is why he has tenacity to match. It's both its greatest charm point and biggest niggle, because it makes the core of Ushio's selflessness and bravery rather basic -- you never really know, at least at first, whether he throws himself into danger because he wants to help people or because he's an idiot. Maybe it's a bit of both. Still, it gives the dolt a certain kind of charm that places him way above many other male leads whose show so hilariously desperate try to convince us why its many women find them appealing. Tora is the real highlight of the show, though. Looking for all the world like a huge, hulking humanoid manbeast with a wicked grin filled to the brim with sharp, pointy teeth, and a body covered in stripy black and orange fur, it's quite obvious why Ushio chose to give him the name Tora. Aside from a sardonic (and very tsundere) personality, he's the opposite end of Ushio on the morality scales, or so it might look at first. Tora is mainly concerned with himself, and one of the first promises he made to Ushio was that he'd eat him first chance he got. Still, for all his grumbling, he's quick to leap to Ushio's defense. He's also immensely powerful, and his past is, as of this season, still a mystery on many accounts. He is often called by one of his older names, Nagatobimaru, though that only serves to raise more questions. 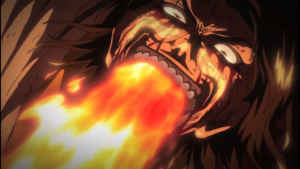 Which is fine for now, because Ushio and tora has lots of questions on its plate, and we even get a lot of them answered. Ushio makes a ton of friends on his journey, but two of the oldest ones are Asako Nakamura and Mayuko Inoue. Asako is, in fact, Ushio's childhood friend who also harbors a crush on him that she's acting ever so tsundere about -- I know, I know... it's an old show, so please bear with it. 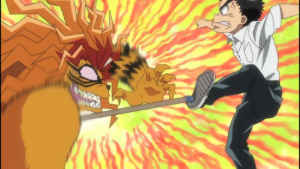 The nice part about Ushio and Tora is that, despite the fact that Ushio has to put the beast spear to use to save them from time to time, Asako is hardly some waif who is prepared to sit on the sidelines waiting for her appointed time to get her swooning groove on, or even just follow Ushio around as emotional support. Her friend, Mayuko, is even the last living relative of the first priestess who sacrificed herself for the sake of the beast spear, but I'm probably getting a bit too far ahead of myself here. Either way, she's technically more Asako's friend than Ushio's, though she does develop some feelings for Ushio eventually. She also shares a delightful side story of an episode near the end of the show, where she's paired up with one of the other characters for an episode of fun and brain consumption. She does get put on the sidelines a good deal more than Asako, but given her heritage, it's likely she might play a much bigger role later seasons. One thing I never expected of this show was for it to have a larger, overarching story. The OAV was more of a multiple short stories kind of a deal, where Ushio would encounter various yokai wherever he went, and this new TV series basically repeats most, if not all, of those episodes in their own way. However, the TV series also starts asking questions about Ushio's missing mother, which prompts him to go on a journey to find the truth. This, again, leads to Ushio finding out about an old, extremely powerful demon called Hakumen no Mono, a demon so strong that it took the combined yokai forces of both the east and west to defeat him, and even then, he ran away and hid underneath the sea, behind the shield of a priestess. Much like with Natsume's Book of Friends, the yokai in Ushio and Tora quickly proved to be a diverse group of beings. A lot of them are basically like animals in spirit (no pun intended) and mind, living mostly to feed and survive, though there are also a lot of humanoid yokai, Tora notwithstanding. When Hakumen no Mono razed the world, the human and the yokai actually teamed up to destroy him, but due to modern humanity's inability to even see them, that relationship did eventually dwindle to the point where many of the clashes between the two are detrimental in nature. The ending episodes of the original OAV, which also became one of the episode plots in this TV series, is based on a short story about how the modernisation of Japan leads to old shrines and temples being abandoned, or even razed. Steadily being pushed aside in the name of progress, a group of yokai ferrets didn't take too well to it, one of them going so far as to turn fully evil and attacking blindly out of rage. It served as a good example that not all stories are going to end well. You might be excused for thinking Ushio and Tora is strictly anti-science, which the show certainly makes it looks like at first. It spouses traditional values and spiritual beliefs over anything else, and most of the appearances done by science or technology is seen on as inferior in every way, if not downright evil. It's an awkward stance for the show to take, because if it was meant to mirror the real-life science vs. the spiritual dilemma, it's going to miss a few points by doing so. Mostly because in our world, the religion dilemma is one of belief and existance, as opposed to the world of Ushio and Tora, where the yokai, the demons and presumably also the gods clearly exist. This might be jumping the gun a little on my part, though, because the show eventually hints about the opinion that, just because religion and science might not necessarily meld very well, they need not necessarily be mutually exclusive. Science in general still has to play the role of the villain or the misguided for a while, though. This is even more reinforced when you go into the spiritual side of Ushio and Tora. A lot of the yokai are taken directly from Japanese folklore, the most obvious ones being the Tengu and the Kappa. I mentioned earlier that there's also all kinds of yokai in there, and that's certainly true; many of them take vaguely monstrous human forms, and there are just as many who shape themselves into more animal-like forms, but this show even goes that extra mile in having yokai that are partially objects, like mirrors or gateways, and whose functions they uphold in mostly supernatural ways. A lot of them are hostile right off the bat, though only some of them are clearly evil by nature. The remainder have merely taken a pretty severe anti-human stance due to the fact that it is a human who protects the Hakumen no Mono from their vengeance. It is rumored that the woman who protects Hakumen is actually Ushio's mother, which becomes the first larger overarching story. With the absence of his mother as a viable target, the yokai are more than happy to transfer their rage onto Ushio instead, and so, his journey to find out the truth sees him nearly constantly assaulted by them. The show also eventually features the origin story of the beast spear and why it has such an odd effect on Ushio's appearance. 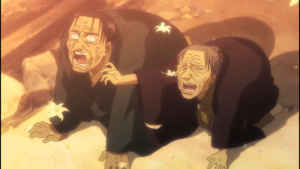 While Ushio and Tora hasn't necessarily shied away from featuring harsher storylines even before with the OAV -- a lot of the substories deals with people whose life have gone to pieces, resulting in them turning into demons in their own right -- this particular chapter of his life is surprisingly dark. It introduces a potential danger in overusing the spear, or maybe even just by using it at all, and the effect is both introduced and eventually explained in all its horrifying glory. Another nice thing about Ushio and Tora is that the show isn't just about Ushio. Or Tora, for that matter. The two of them meet a lot of characters, both human beings and yokai, during their escapades, and Ushio in particular creates quite a few bonds with people and spirits that become his allies. Various action shows, particularly the ones of the harem persuasion, tends to be astoundingly patronizing towards the supporting cast in their worship of the main character and their inability to do anything without their hero around. 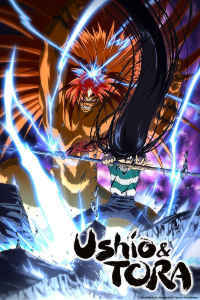 But while I wouldn't go so far as to call Ushio and Tora a harem, Ushio himself slowly builds a solid network of people who would do anything they can for their new friend, many of which are female, and most of them with no small amount of abilities of their own. But the nice thing is; the show isn't just afraid to let their hero (happily) receive aid from his friends, it gladly goes so far as to admit that he would be dead -- or worse -- if not for them. And Ushio, for his larger-than-life heart, is kind of an idiot, so he needs all the friends he can get. With 26 episodes in the box and more coming, the story of Ushio and Tora is hardly over yet. There is a second season coming up later this year, which hopefully brings more developments on the table, and even beyond that, it's going to be good to see the gang again. It's also extra nice to see that Ushio and Tora sets out to finish the story arcs it makes, all of which will be used to build more stories leading to the inevitable end goal, which, while typical for shonen -- defeat evil, save the land -- has enough compelling angles to work even now, particularly given that the show doesn't devolve into an endless macguffin search. (Much as I like Inuyasha even now, it could get kind of annoying about that.) 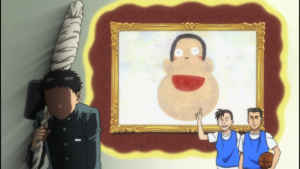 Granted, some of the aspects of Ushio and Tora might feel a bit basic and dated at times, but Ushio's cheerful idiocy and bursting enthusiasm is a nice break from the snarky anti-hero knowitalls and tellitnones of today. The original OAV might have petered out in a rather unsatisfying way, but this new TV series version seems more set on going all the way to the end. And we, as an audience, need to do what we can to help it get there. Recommended Audience: This show is absolutely not for children. While the show never gets particularly gory, people and yokai both fight here, often to the death, and the story arc centered around the creation of the Beast Spear is a whole ballpark on its own. Even outside of that, the show has enough short stories centered around some of the worst aspects of greed, psychosis and general malice that it wouldn't surprise me if the show ended up with a 16+ rating. Then again, there's nary a spec of fanservice in this show, so... maybe not?